EyePro Vision Inspection Solutions can also be integrated into a specific robot guidance application. We can work in partnership with your qualified robot system integrator in order to provide a complete solution based on our state of the art vision inspection technlogy. This allows a customer to get EyePro vision inspection (and advanced data analysis and reporting) as well as robot guidance, using just one vision module. 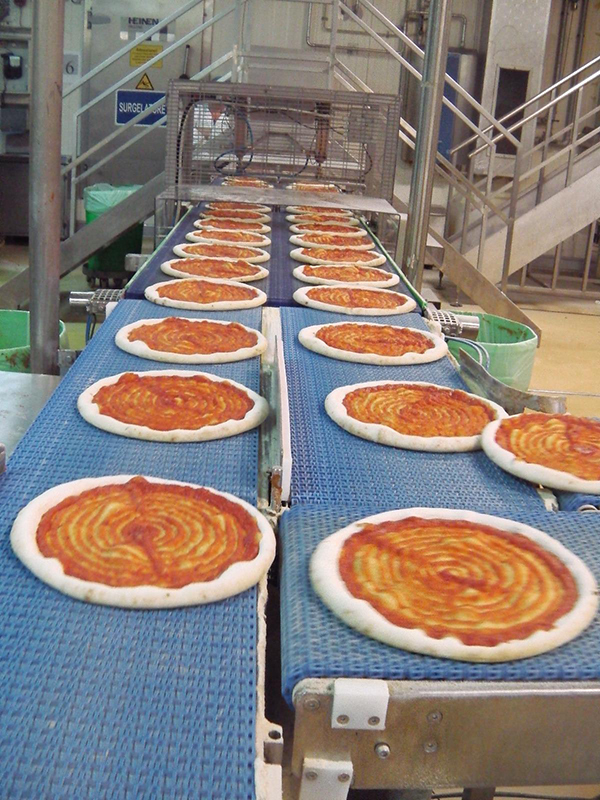 Vision can be integrated in a Topping Deposition System, in order to track the products position and, on the basis of this information, guarantee the topping to be perfectly centered on the pizza. The System also measures several features of the products (diameter, roundness, etc.) and displays and saves on database all the collected data and information.